The Methodist Protestants were organized in 1857, through the efforts of F. W. Johnson. The original membership was but nine-- F.W. Johnson, wife and daughters; A.C. Johnson and wife; and A. Blanchard, wife and daughter. The little congregation was supplied from what was called the Osceola Circuit, then extending as far as Winterset. A carpenter shop was fixed up and painted blue for holding services. This was known as the "Blue Church," and was used by other churches in turn. It is accordingly well remembered by the pioneers. 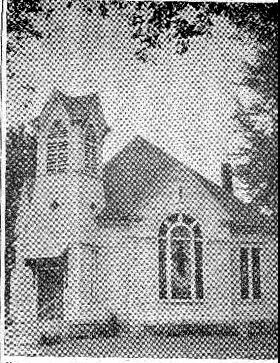 In 1870 this congregation built a brick church of its own, and a parsonage, one block north of the northeast corner of the square on Main street. The total cost was $5,000. 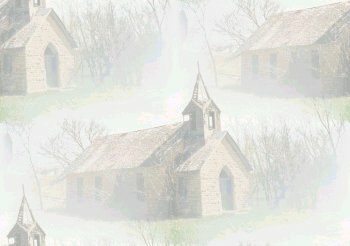 Osceola was made a station in 1872, since when the pastors have been E.S. Brown, Asa Elliott, G.M. Scott, Harry Workman, Wesley Sparks, E.C. Boyles, W.M.Van Vliet, J.B. Hiles, Storrs, S.J. Geddes, and Josiah Selby. Mrs. Carrie McCullough was a Sunday School superintendent and her assistant was Miss Lillie Kerns.